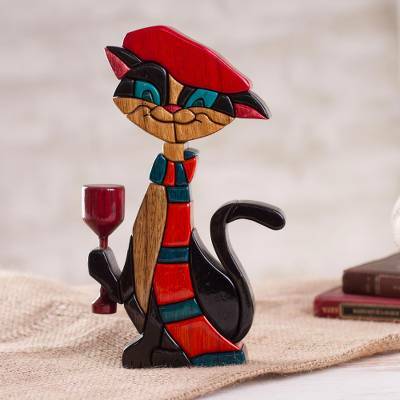 Colorful Wood Cat Sculpture Crafted in Peru, "Parisian Cat"
For a charming and whimsical addition to your home decor, this sculpture from Peru depicts a Parisian cat. The cat wears a beret and striped scarf as it holds a glass of wine and smiles. John Barrow designs this impressive sculpture, which is crafted of several colorful wood pieces that are each carved by hand and assembled like a puzzle. 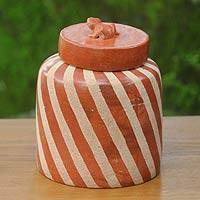 "Lovely addition to our collection"
Colors are vibrant and add so much to our growing collection of cat statues.